Recently, Richard Rushfield of the entertainment newsletter The Ankler reported actor/director Jordan Peele approached Disney about producing a live action adaptation of its critically-acclaimed, cult classic animated series Gargoyles. The report went on to say, however, that given Peele’s momentum from his blockbuster hit Get Out (2017), the studio did not want to turn him down but was unwilling to greenlight the project and likely hopes Peele will take on another film and forget about the pitch. The news of the pitch though has spread like wildfire generating a lot of buzz online which could give Disney pause to genuinely consider the film (not unlike the impetus leading to 2016’s hit Deadpool). Gargoyles was a 1994 animated series created for the Disney Afternoon programming block to spotlight the company’s burgeoning animated television division. Created by Greg Weisman, known better today for Young Justice, Gargoyles ran for two seasons and featured a clan of magical guardian gargoyles in tenth century Scotland that were stone by day and flesh by night put to sleep in stone for a thousand years until awoken for a malevolent purpose by wealthy genius David Xanatos. Living in modern day Manhattan, the gargoyles combated Xanatos, rogue gargoyle Demona, unaging Scottish king Macbeth, mercenary band the Pack, ancient magician Archmage, and all manner of magical beings like Puck, Oberon, and the Weird Sisters of Shakespearean lore. The show failed to attain the level of massive ratings of competing series Mighty Morphin Power Rangers, Batman: The Animated Series, and X-Men leading to its cancellation. A second animated series created largely without input from Weisman emerged called Gargoyles: The Goliath Chronicles in 1996 but was so reviled, future printed installments of the franchise treated it as non-canonical. 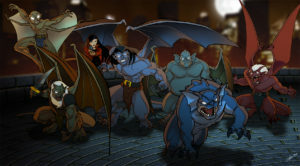 In 2006, Gargoyles found second life as a comic book series written by Weisman for Slave Labor Graphics and Creature Comics continuing the show’s narrative until 2009 when Disney raised its licensing fee and the publisher abandoned it. 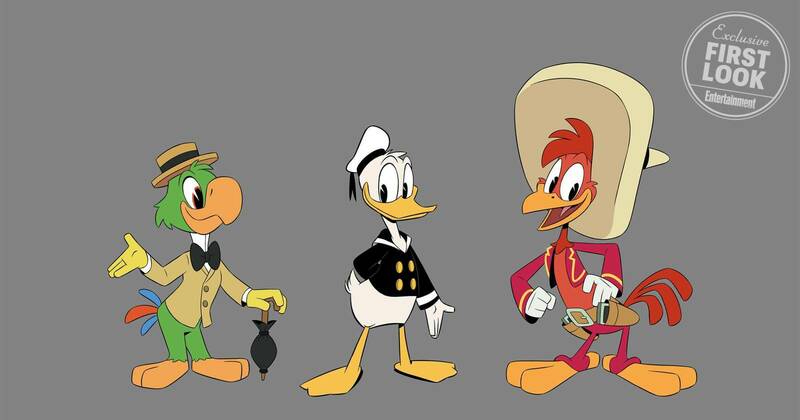 Joe Books, who currently has the license to produce many Disney properties, planned on releasing a cinestory based on the first five episodes of the television series in 2016 but lack of pre-orders led to its delay and eventual cancellation. If the the buzz surrounding Gargoyles‘ adaptation into a major motion picture pan out, lets take a look as to who could portray its characters.